Employers in New York City will no longer be able to ask job candidates about their salary history. Mayor Bill de Blasio, a Democrat, signed a bill on Thursday that makes it unlawful for those involved in the hiring process to inquire about what an applicant currently makes -- a measure that takes aim at the gender pay gap. "This is about fixing a broken history. This is about overcoming years and years of discrimination that held people back," de Blasio said at the signing ceremony. The law will go into effect in October. In the meantime, businesses that look for talent in one of the country's largest labor markets will need to reexamine their hiring practices. "This will require employers to change their job applications, employ new practices in terms of hiring, [and] retool how they engage in the salary discussions with prospective employees, focusing on salary expectations rather than current salary," said Kathleen McLeod Caminiti, a New York attorney with Fisher Phillips who represents employers. New York companies who also have employees in other cities may decide just to implement these changes everywhere, she said. More than 20 states, from California to Georgia to Vermont, are considering similar legislation that would bar employers from asking about a job applicant's pay history, according to the National Conference of State Legislatures. New York City joins Massachusetts and Philadelphia, which already have those laws on the books. Such bills look to address a real problem. Women earned 79.6 cents for every dollar men made in 2015, according to data released by the Census Bureau last year. Proponents say asking an interviewee about her salary history compounds the problem. "If you have a practice that relies mostly or completely on someone's prior salary in setting pay, that disadvantages women who may not negotiate as much as men, and will perpetuate any disparity that already existed," said Maya Raghu, director of workplace equality at the National Women's Law Center. A court decision last week has also renewed calls for local action. The 9th U.S. Circuit Court of Appeals overturned a lower court and ruled that employers are allowed to pay women less than men based on salary history if they have a legitimate business reason for using that information. Democratic members of Congress hope to take federal steps to address the issue too, even though they're the minority in both houses. 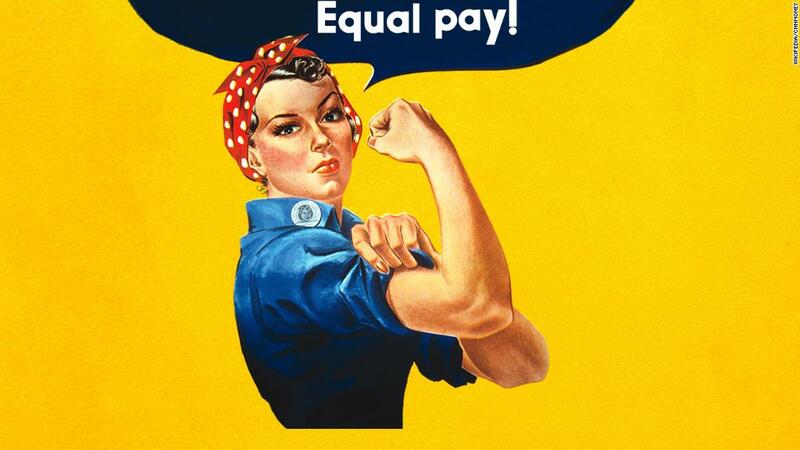 The Paycheck Fairness Act, which has been introduced by Sen. Patty Murray of Washington and Rep. Rosa DeLauro of Connecticut, would strengthen provisions in the Equal Pay Act of 1963. Part of the bill bans employers from asking about a job candidate's pay history during the interview process.